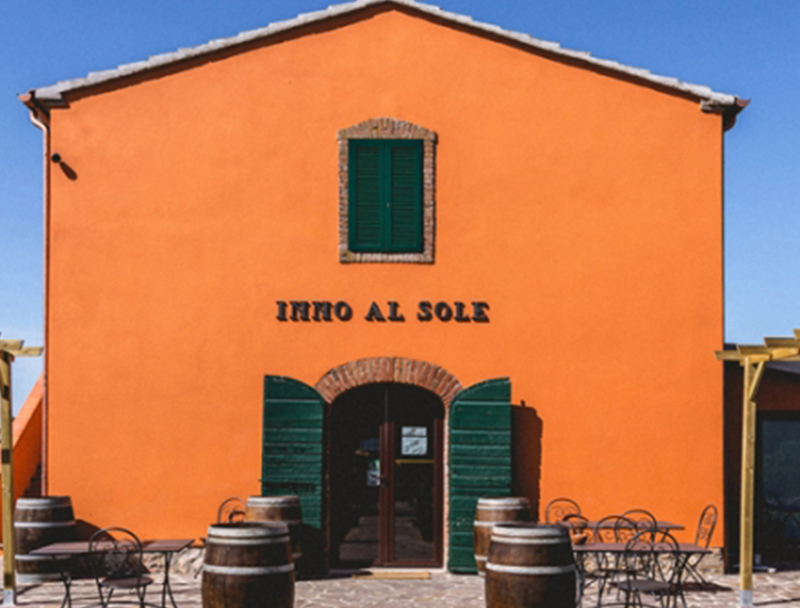 Quick editor’s note: our team came back from Italy full of inspiration. This is the first in a series about our experiences and insights on our Italian adventures, findings, cheese and more. Take it away, Andrea! 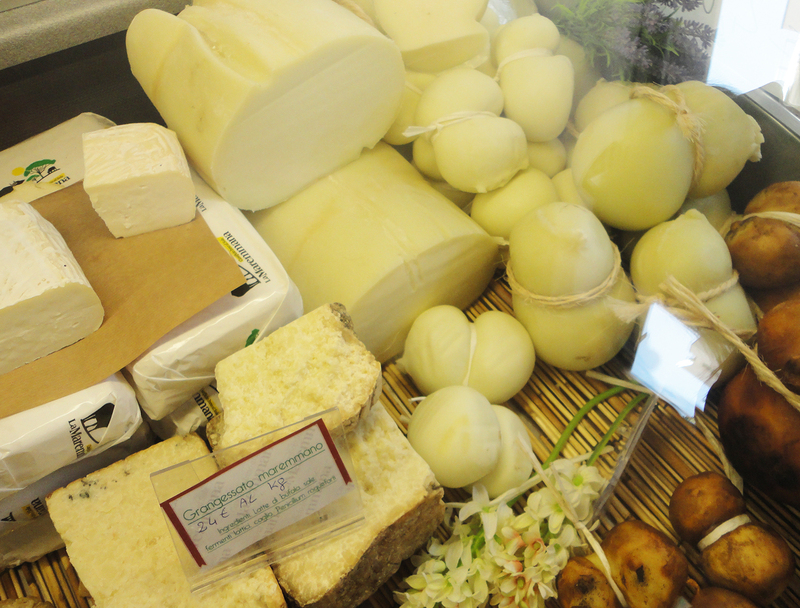 Italians are very proud of their cheese and rightly so, for it is treasured throughout the world. But their pride doesn’t come with arrogance, but rather a passion for carrying out tradition and history of their beloved country. After spending a few days traveling throughout Italy, it was clear that Italian cuisine was full of history. 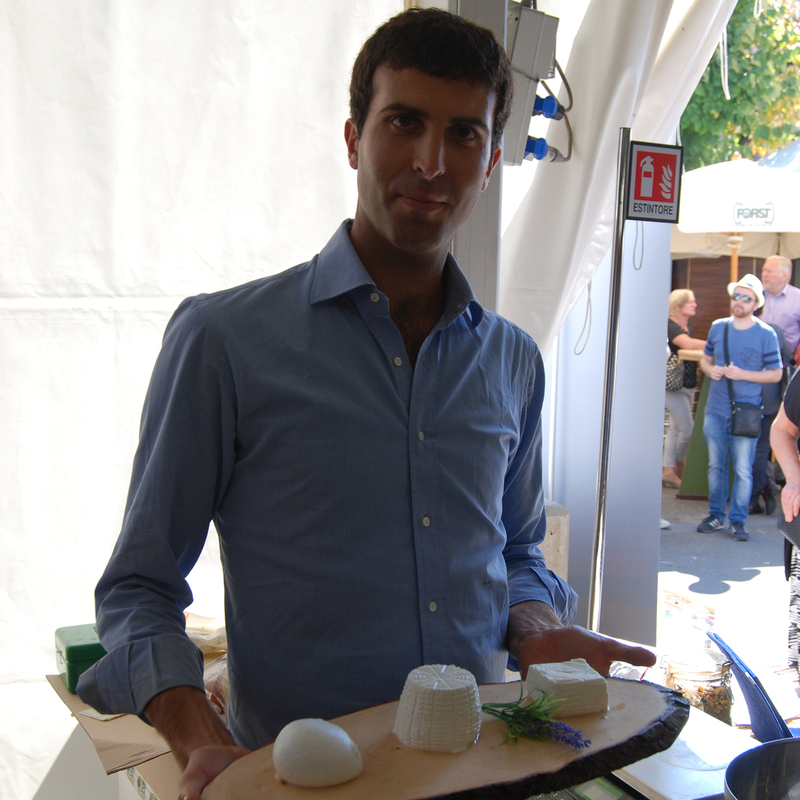 I was awe-inspired by cheesemakers who shared their stories with me. 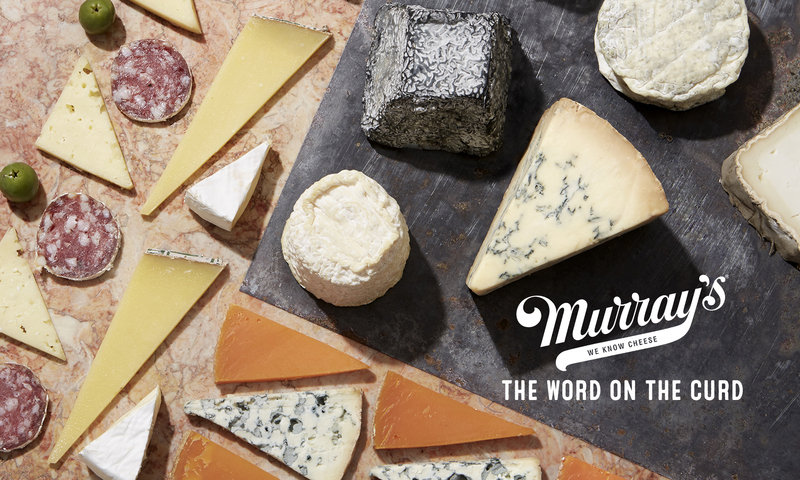 Stories, about the passion, tradition, and of course… love of cheese! “I believe in Italy” cheesemaker Guido Pallini exclaimed when I asked him what he loved most about working on his family farm in the Maremma region in Tuscany. 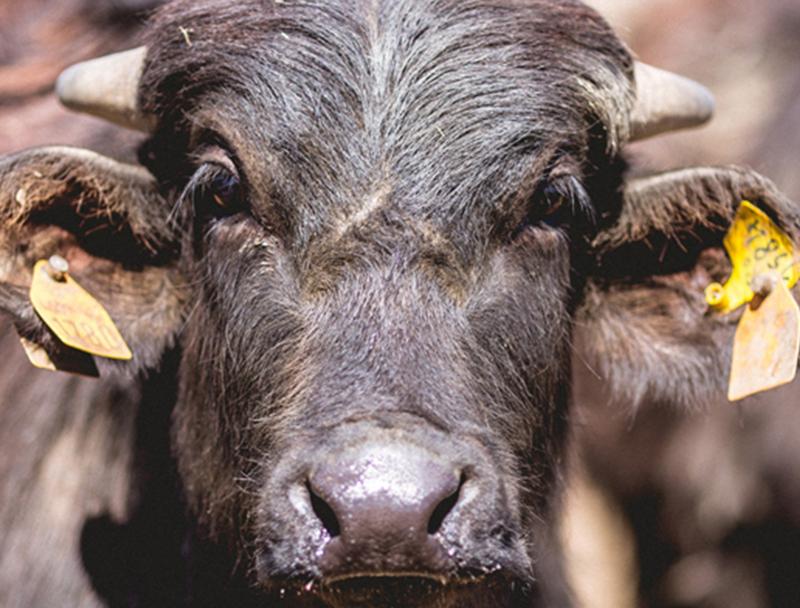 After leaving his job as an investment banker in London, Pallini made a decision to return to his roots at the family livestock farm, a business of breeding water buffalo for milk production and farming land to grow crops. Pallini had a vision of turning this quickly declining livestock farm into a cheese making business. Integrating other activities into their operation would help make the family business more sustainable. Today, La Maremmana is a fulling functioning cheese factory of buffalo milk cheese made solely from the milk of their livestock. From Mozzarella di Buffala to Burrata to fresh Ricotta, Pallini’s dream of saving the family business came true. “I felt a responsibility to support a community that was generations old.” It’s easy to taste his passion and love in his cheese; unmistakably rich, delicate and full of flavor. Guido Pallini isn’t stopping there. He is also experimenting with a few “non-typical” cheeses to Tuscany with the hopes encouraging his local customer base to explore new and exciting cheeses, like Blu del Granduca and Gran Gessato Maremmano. He’s also using the milk of his livestock to create beauty products! With a full stomach and a sample of his new buffalo milk haircare product (a new business venture Pallini is working on) I was off to the next interview, full of inspiration about the love and passion of keeping Italian tradition alive! 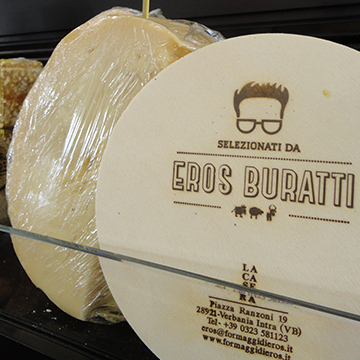 Eros Buratti has dedicated his life to bringing his community extraordinary cheese. Working as the local stagionatura (ager) at La Casera, his small family-run cheese shop in the Piedmont region of Italy, Buratti focuses on collecting, aging and retailing regional cheeses. 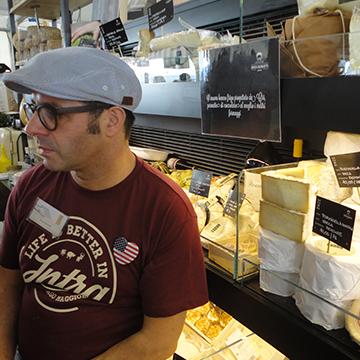 For over seventeen years he has brought exceptional cheese to his community. I was honored to taste through his creations during my travels and get a deeper understanding of his passion, love and philosophy of cheese! 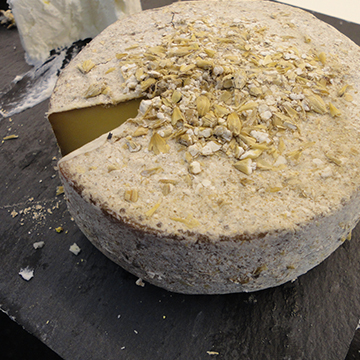 Cheese making, Buratti explained, is all about purpose. Without a purpose there is no need to create. His desire to create new, delicious cheese comes directly from the feedback he gets from the people who eat it and he is personally invested in creating unique cheese for all to enjoy. “I make cheese that I like. That the people will like. I will always listen to them.” The choices he makes in aging & collecting cheese are based on the community, one that is deeply rooted in Italian tradition. At last, it was time to taste through his amazing cheese. The most memorable for me was his collection of Robiola, a classic Italian soft-ripened cheese of the Stracchino family, all of which were different. I have tasted this cheese before, but this was so much fuller of purpose. 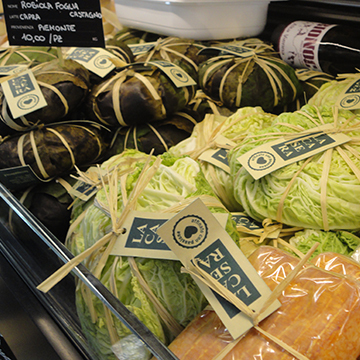 As we ate each cheese, Buratti explained how one of his workers from Gambia hand-wrapped each of the Robiola in fig, chestnut or cabbage leaves, making each a different and special. He explained that this man came from a hard life and through the education of cheese making; he has made his life better. “Cheese making is not just about the business, it is about putting the head, the hands and the heart into what you are creating.” The head: to think about what it is you are trying to create, the hands: to make the cheese itself, and the heart: to put passion, love and purpose into what you are doing. His words were inspiring. As I was finishing up the interview and saying my goodbyes to Eros, thanking him for the truly memorable experience, he introduced me to the man who hand-wrapped the cheese. He repeated Buratti’s words, “the head, the hands and the heart” and I will remember that advice forever!